Please read carefully the following terms and conditions to share or use any materials from the website. If you require more information on these terms, please feel free to contact The English Student directly at hello@theenglishstudent.com or visit the contact page here. Yes, you are more than welcome to use anything on The English Student website for your classroom but it may not be altered in any way or form. Proper credit should be given and all copyright signs, watermarks are present. Absolutely! I love it when people share things that can help others learn. If you're not sharing from my direct page or retweeting, please include credit to The English Student or #theenglishstudent. Sharing on social media: please include an image credit or source directing to The English Student or #theenglishstudent. Please do not change my images (such as removing titles and adding your own, altering drawings) and also do not remove my logos and watermarks to pass as your own work. You may read more on this below under License to Use. You may view, download and print pages, files or other content from the website for your own personal use, subject to the restrictions set out below and elsewhere in these terms and conditions. You may not crop out the logo and/ or remove watermark displayed on the materials to pass as your own work. Doing so constitutes copyright infringement. All shares or use of materials should be in its original form. 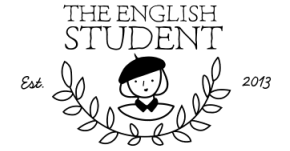 All content (including without limitation any pictures, logos, images, text, web design) appearing on The English Student is our property and is protected by copyright under the copyright laws of the United States and/or other countries. You agree not to use, display, reproduce, retransmit, modify, distribute, disseminate, sell, publish, create derivative works of, broadcast, circulate, display or in any way exploit any such content (including any copyrighted material or other proprietary information), in whole or in part, whether by e-mail or by any other means, for any purpose other than for your personal, non-commercial use as set forth herein. The English Student and/or third parties may provide links to other websites of possible interest to you. Because we have no control over unaffiliated websites, you acknowledge and agree that we are not responsible for the availability of such websites and do not endorse and are not responsible or liable for any content, advertising, services, products, or other materials on or available from such websites. You also acknowledge and agree that we shall not be responsible or liable, directly or indirectly, for any damage or loss caused or alleged to be caused by or in connection with the use of or reliance on any content, advertising, services, products, or other materials on or available from such websites.